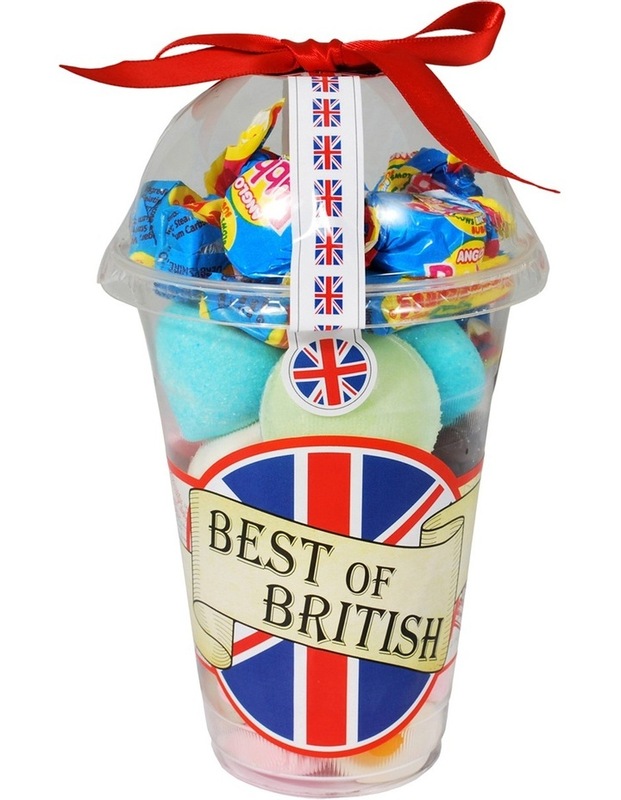 The Best of British Candy Cup from Farrahs contains a traditional mix of lollies includes including refreshers, marshmallows, bubbly bubble gum and other delicious candy. Bring back childhood memories or gift the Best Of British Candy Cup to a new generation of lolly enthusiasts. Farrahs was established in 1840 by John Farrah in Harrogate, the beautiful spa town in the North of England. Over the generations, Farrah's has expanded their range to include a vast range of quality confectionery. ALLERGY ADVICE: Contains MILK. May contain NUTS.